Cascade Title is now able to close your HUD transactions! 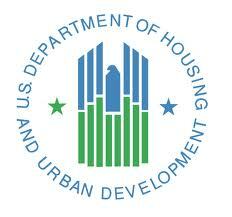 Effective February 27th, 2013, HUD will be implementing a “Buyer Select” closing agent pilot program. All buyers whose contracts are executed on or after February 27th in the state of Washington can now select their own escrow company. The selling agent will be required to complete an addendum providing the name and contact information of the selected escrow company. This addendum must be submitted with the contract package at the time of bid acceptance. Please note, escrow fees will now be a buyer expense. HUD will only pay a portion of the closing fees, if the buyer includes closing costs on line 5 at the time of bid submission and there are sufficient funds remaining to allow for this fee to be paid. If there are no closing costs included in the bid, the buyer will be required to pay all escrow and closing fees. This is a change from previous notices that will be effective with the pilot program. Cascade Title welcomes your next HUD transaction.